Do your joints ache and limit your ability to enjoy life? You don’t have to suffer, you can start back on the road to healing today, naturally! Many individuals rely on prescription and/or over-the-counter NSAIDs to get them through the day, but these drugs are taking a very big toll. Common over the counter NSAIDs include: ibuprofen, naproxen and aspirin. Prescription brands are many from celecoxib, ketorolac, tolmetin to rofecoxib to name just a few. There is a very dark side to this reliance on these NSAIDs. Commonly people experience nausea, vomiting, unknown G.I. bleeding and eventually kidney damage. More shocking is the fact that NSAIDs are one of the leading causes of death in the United States. Over 100,000 people are hospitalized for GI bleeding and of those 16,500 die every year. These numbers are very “conservative” they have not been updated since 1997 and do not take in account the 30 billion over-the-counter NSAID tablets swallowed yearly! This is a horrific “silent epidemic” and worse yet NSAIDs don’t get to the underlying cause of the arthritis. It’s time you stop hurting yourself with NSAIDs for your arthritis! So how does someone reverse the pain and stiffness of arthritis? There are many different names given to the condition we call arthritis. However no matter what diagnosis you are given, osteoarthritis, degenerative spinal arthritis, rheumatoid arthritis, psoriatic arthritis, arthritis comes from underlying biochemical changes that lead to increased joint destruction and decreased joint repair. In any arthritis, cartilage synthesis and maintenance of the joint lining called the synovium cannot keep pace with the background breakdown of these tissues. This increase breakdown caused by multiple factors, key among them is increased nutritional needs by your cartilage and the joint lining. If this is properly understood through laboratory testing then nutritional support specific to your needs can be supplied to improve the health of your joints. This nutritional support helps increased cartilaginous and joint lining repair, improving pain and stiffness. A crucial factor in increased joint breakdown is systemic inflammation that comes from an upregulated immune response. Just taking NSAIDs does not get to the underlying cause of the systemic inflammation that is affecting your joints. I find with many patients a primary cause is coming from the gastrointestinal tract. With over 70% of the immune system in your gastrointestinal tract is easy to see why it can be a source of increased systemic inflammation. Conditions known as SIBO or small intestinal bacterial overgrowth, which not only lead to irritable bowel symptoms but also can damage your G.I. lining. This can lead to a condition known increased intestinal permeability or “leaky gut”. NSAIDs are a major cause of G.I. damage and “leaky gut syndrome”. With this “leaky gut” bacteria in your G.I. have access to 70% of your immune system. The situation can lead to an upregulated immune response causing you systemic inflammation and inflamed achy joints. There are specific laboratory tests to identify if you have systemic inflammation, SIBO and a “leaky gut”. Once identified there are specific gastrointestinal healing programs that can be implemented to heal your G.I to reduce your systemic inflammation. With this your idea IBS goes away along with your inflamed achy joints. This “leaky gut” also leads to increased food allergies which I find in the majority of my arthritic patients whether it be osteoarthritis, rheumatoid arthritis or other forms of arthritis. I have found in myself and many patients I can reduce the arthritic symptoms by identifying and removing the patient’s food allergies by using a sophisticated Alletess IgG food allergy test for 184 foods. I was disappointed to get a call from Pain and Brain Healing Center this morning notifying me that Dr. Fors will be cancelling the Wednesday evening, 3/28/18, seminar about SIBO, due to the fact that he is on jury duty this week, so his schedule is very unpredictable. 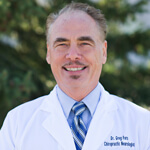 I am however looking forward to my free initial consultation with Dr. Fors on Monday, April 2nd! 😊 I ordered his book “Why We Hurt and How We Heal” online and the mailman just delivered it this morning. I am beyond impressed with the wealth of information in this book! I can’t wait to start practicing the Trigger Point Therapy self care methods shown in this book in Chapters 8 – 13. I even noticed at the back of the book that there are 9 pages of Website Resources where readers can find contact information and descriptions of yet other organizations and companies who can provide useful information and resources for readers seeking help in the area of self-care for healing their pain.